I enjoy spending time in our woods during all of the seasons, but spring is my favorite. These small white flowers are among the first to bloom, and they’re found throughout the forest floor. I like their contrast to the dull, brown leaf litter. They don’t last long, but they always make me smile. Just after Cam started walking, we were out in the yard one spring afternoon and he picked a handful of these flowers and brought them to me. I’ll always remember them as Cam’s first bouquet. They may not be as beautiful as traditional roses, but they’ll always represent love to me. Nice and cute Anemone flowers! Thank you! They are adorable. 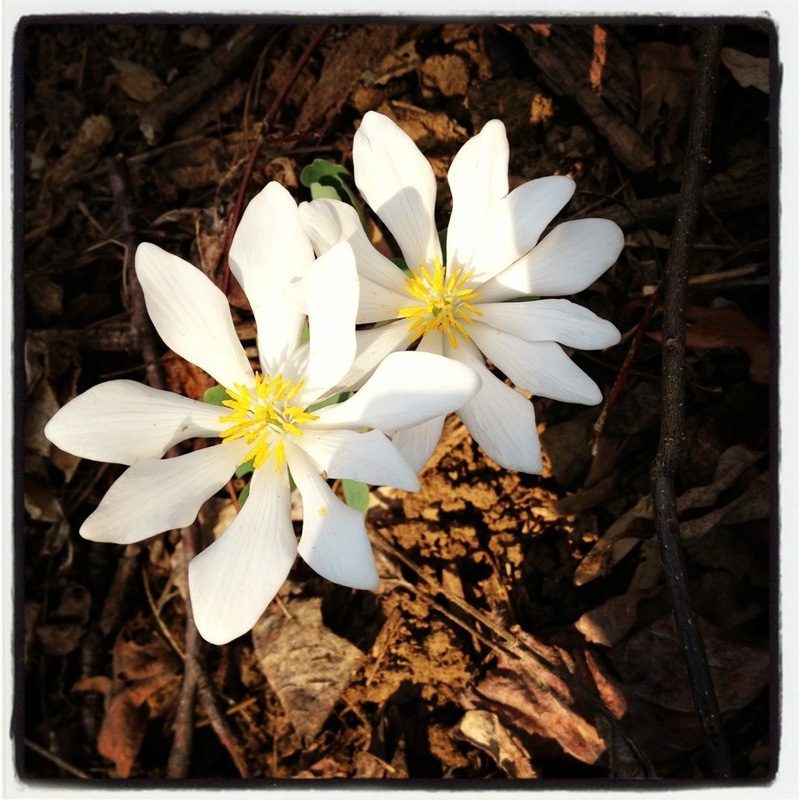 I love these flowers–the first signs of spring are always the best. So true! Soon the colors will be upon us. Found blue bells this weekend too! Pretty…..I think they are called trilliums. These are absolutely adorable ! I need to get out in the woods and find some wildflowers too!